The materials and manufacturing processes of the keyboard are the same as those traditionally used for C. Bechstein grand pianos, but with an innovative hammer mechanism and a wooden keyboard designed according to the principle of a concert grand piano mechanism, three legendary grand pianos - their sound character can now be experienced true to the original. A balanced, elegant sound that goes perfectly with impressionistic music. It is distinguished by its clear sound spectrum over the entire range. A brilliant, clear sound. Pianists love its manifold possibilities of expression. Well suited for different styles and genres. Remarkable because of its impressive depths. Thanks to its warm tone, it is ideal for both gentle and powerful playing. Ideal for classical music. The Casio GP-400 offers an additional function with which sound scenes can be selected or created. The piano sound, an appropriate reverb simulation and other effects can be selected and saved. Casio offers various preset scenes for inspration. The diverse settings allow you to immerse yourself in different epochs of music history. 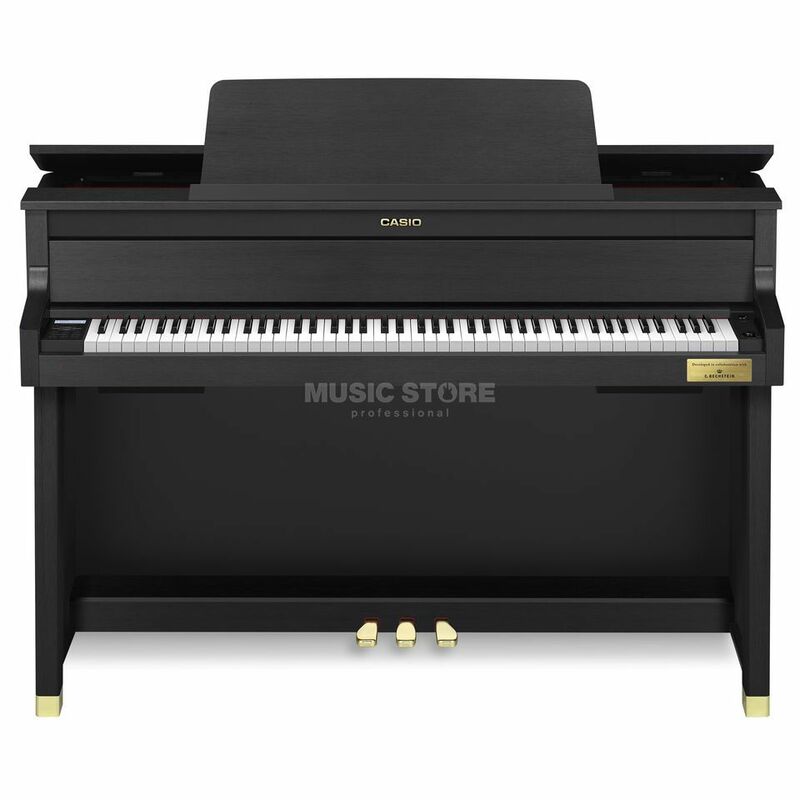 The Air Grand Sound Source was developed by CASIO to authentically recreate every detail of the sound of a concert grand piano, and the exclusive Grand Accoustic System, with 6 loudspeakers, adds a new dimension to your playing. The Celviano Grand Hybrid uses a high-quality amplifier system with six loudspeakers and creates a three-dimensional sound impression as we know it from acoustic concert grand pianos. The materials and manufacturing processes of the CELVIANO Grand Hybrid's Natural Grand Hammer Action Keyboard are the same as those traditionally used for concert pianos. The acrylic and phenolic surface contributes significantly to the playing comfort of the musician. The "Natural Grand Hammer Action Keyboard" reproduces the mechanical principles of a concert grand piano keyboard. In order to reproduce the keystroke realistically, CASIO has reanalyzed the grand piano mechanism. The result is a newly developed mechanism built according to the same principles as a concert grand piano. The "Contert Play" function of the CELVIANO Grand Hybrid gives you the role of a solo pianist in a concert. Play with a symphony orchestra. The sound system provides the complete orchestra accompaniment. Works by Chakovsky, Pachelbel, Smetana and other composers are at your disposal. To make practicing easier, the tempo of these pieces can be slowed down.